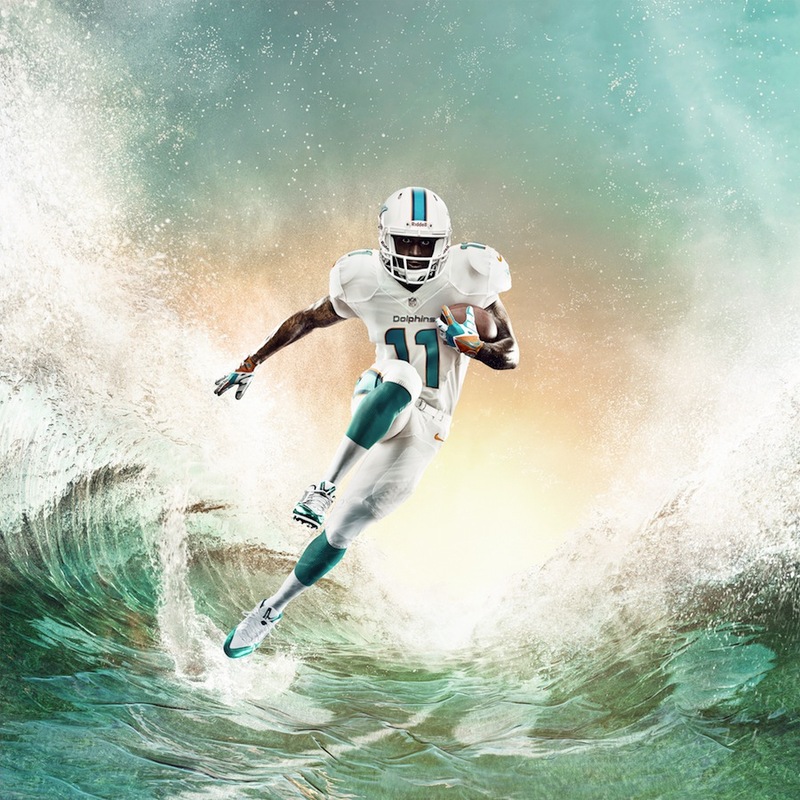 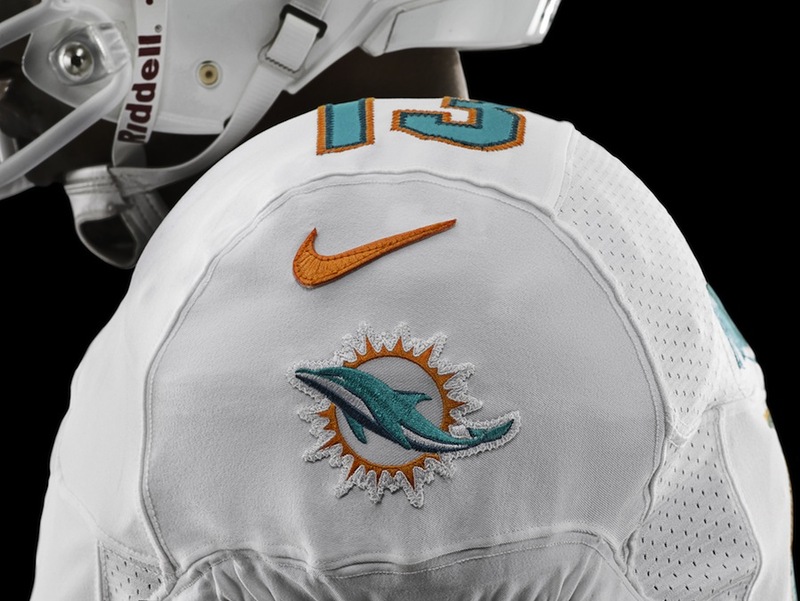 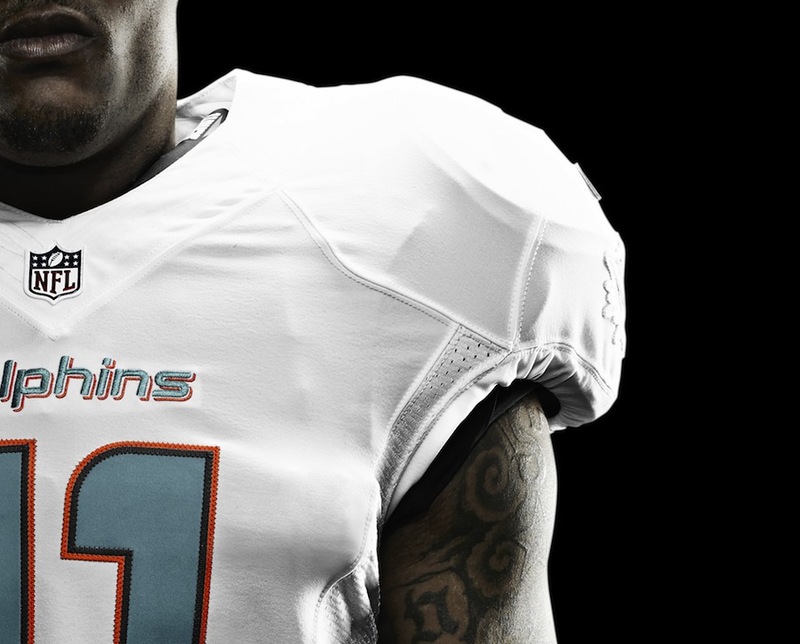 South Florida's sun and amazing beaches provide the inspiration behind the Miami Dolphins new uniforms by the Swoosh. 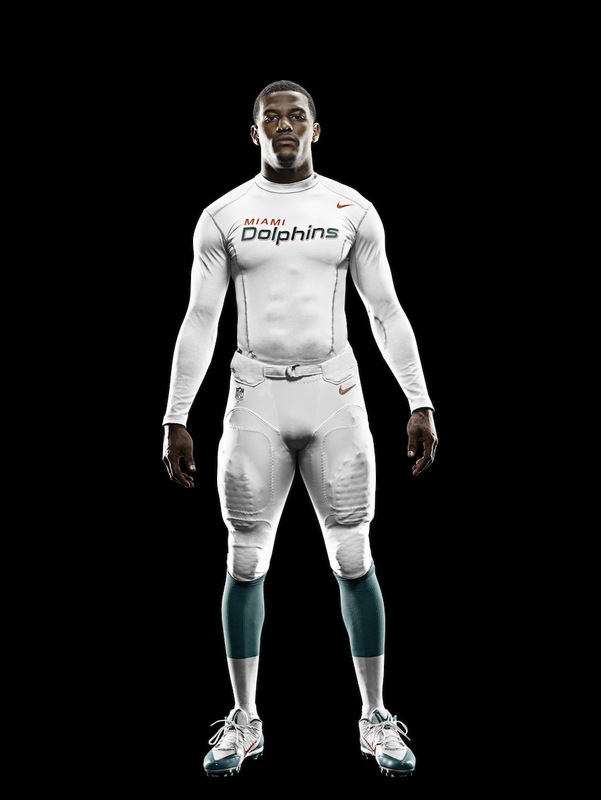 The Elite 51 uniforms by Nike feature an updated color palette inspired by Miami's original uniforms and updated numbers and fonts to represent Miami's beautiful weather while staying true to the Dolphins' strong team heritage. 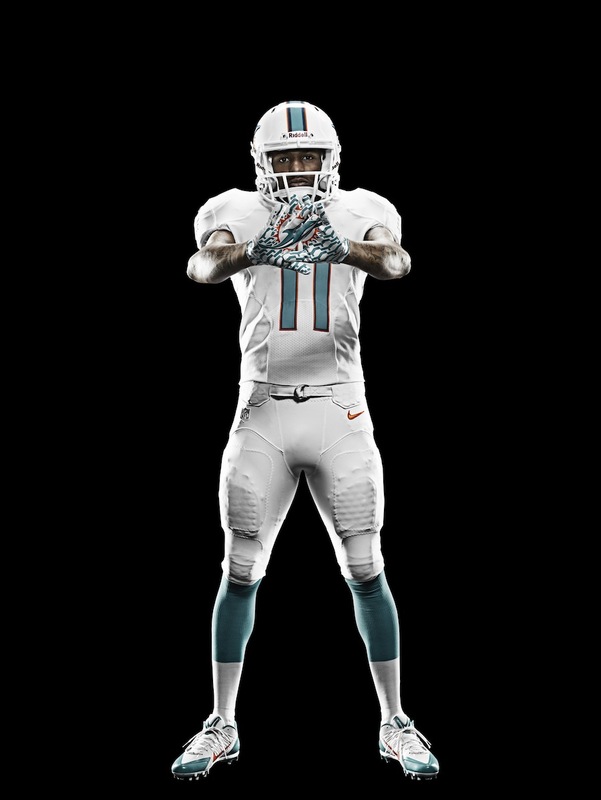 The all new uniforms by Nike are a fully integrated system of dress, featuring the Nike Elite 51 uniforms, Vapor Jet 2.0 gloves and the innovative Alpha Pro Cleat by Nike Football. 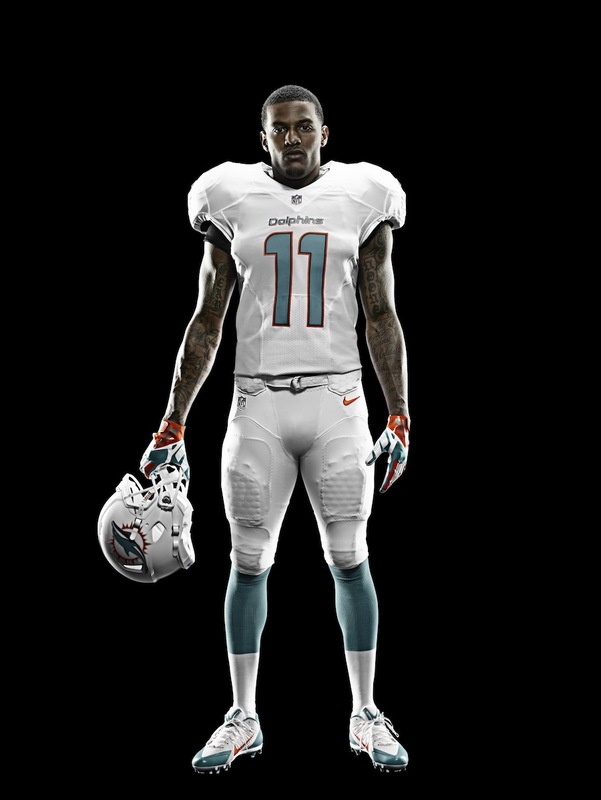 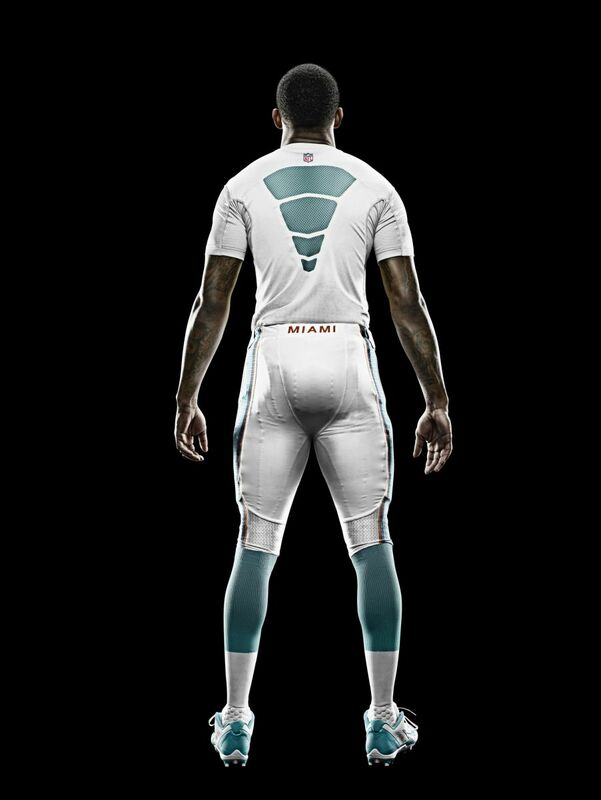 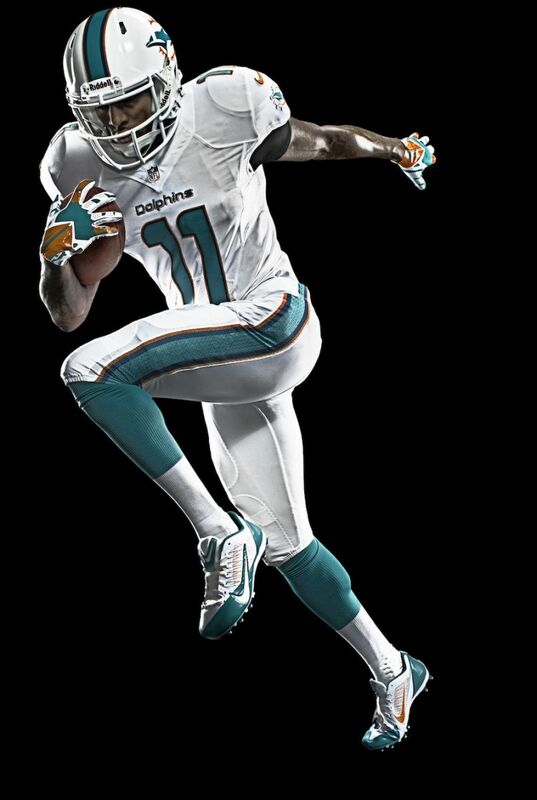 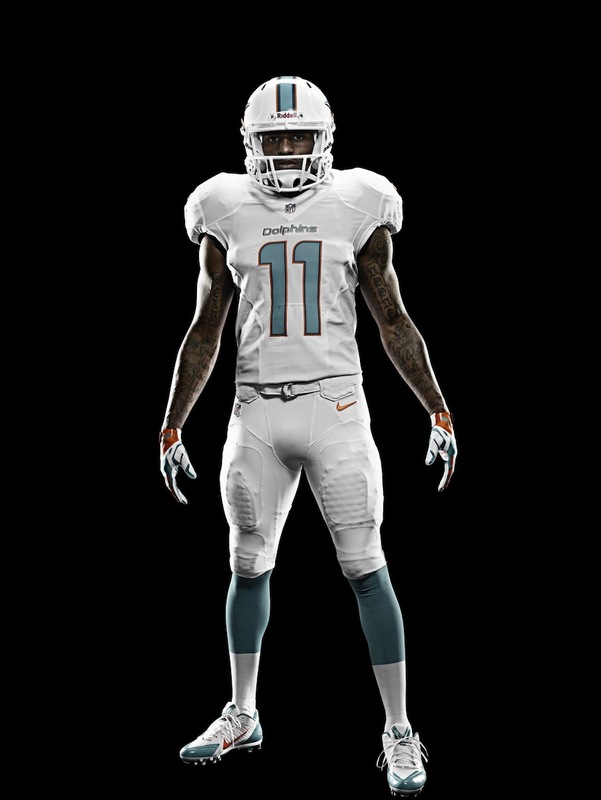 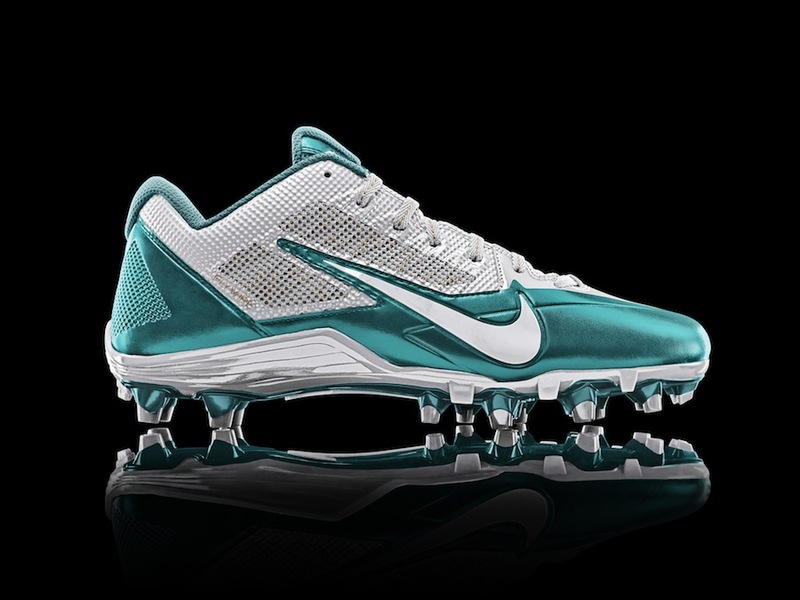 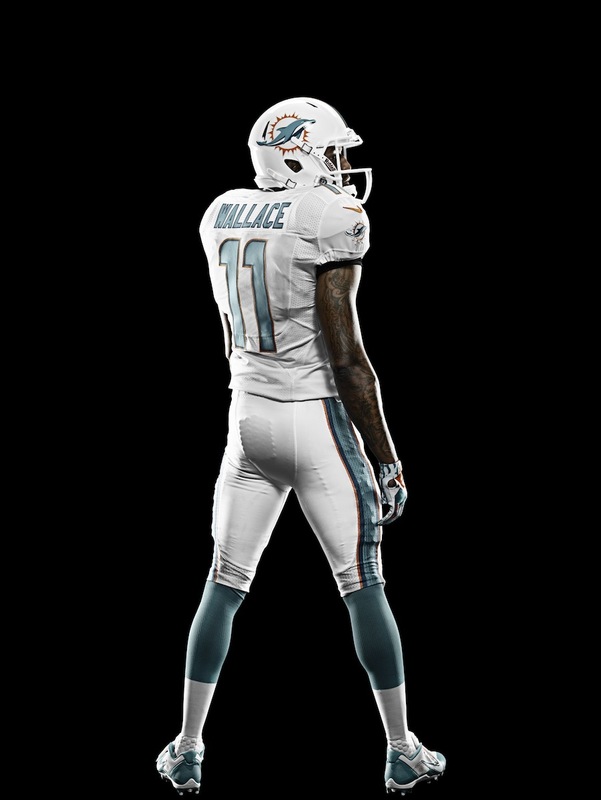 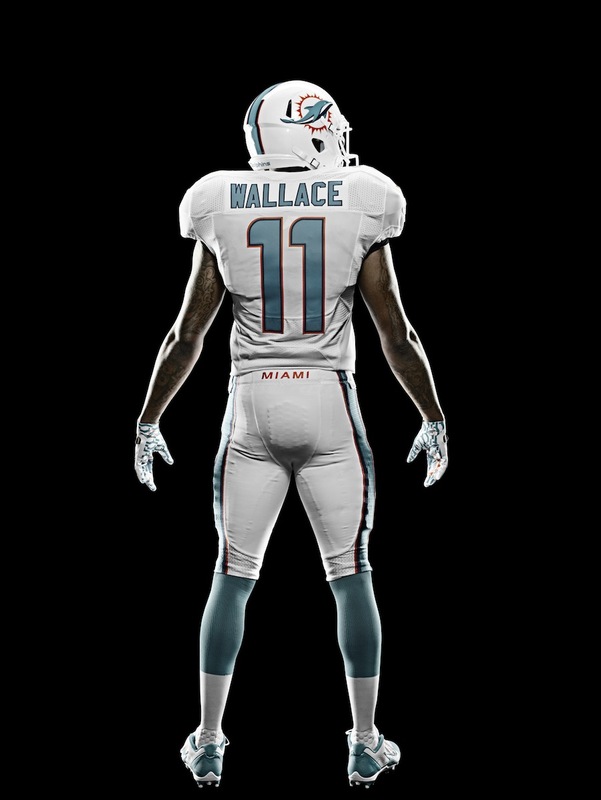 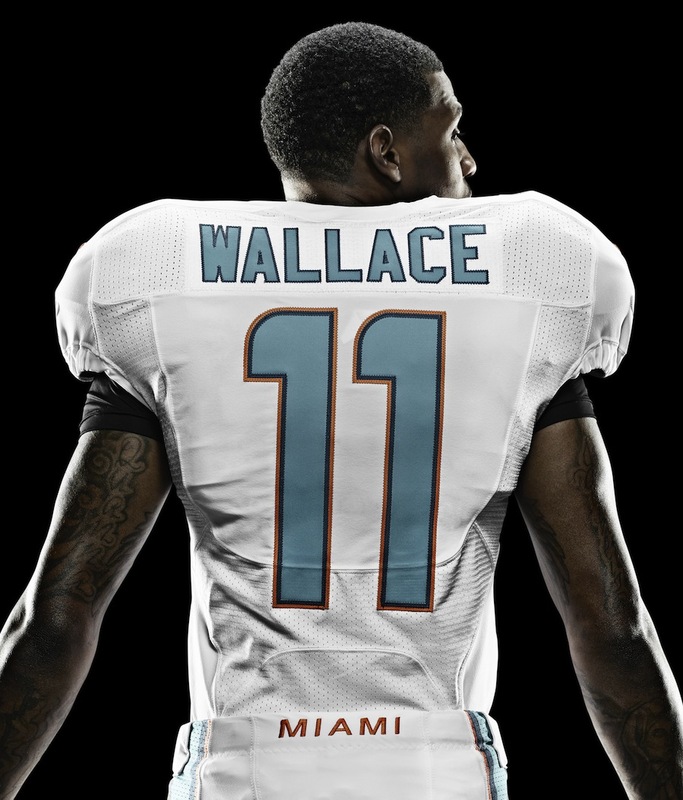 Check out Miami's all new Nike Elite 51 uniforms modeled by their top receiver Mike Wallace below.